When Lorraine McNeill’s mother, Agnes, died, Lorraine’s loss was as profound as her devotion. But through this tragic event Lorraine met her new husband-to-be, John Caulfield. Although their paths crossed in a series of chance encounters, it took the worst storm to hit NI in 50 years to bring the pair together. Lorraine’s GP first signposted her to Cruse Bereavement Care, which supports people coping with loss, after Agnes’s death. After six weeks’ counselling she heard about Cruse’s Beyond Words project, a friendship group funded by money raised by National Lottery players. The project offers people suffering bereavement a chance to meet and talk through activities from drama to creative writing. Lorraine started attending last March, and first met John, also from north Belfast. He had joined in 2014 after the death of his wife Eileen in 2013. He and Lorraine got talking on the group’s residential on the north coast. “On the way home the group stopped at Portballintrae, which mum and I loved,” says Lorraine. “I went for a walk but when John realised I wasn’t back after it started to rain, he went looking for me. But still no ‘date’ was planned… until, that is, the day of Storm Ophelia when once again fate threw them together. John takes up the story: “Neither Lorraine nor I could stand the loneliness of our homes after our loss. Eileen and me were together 27 years. We lived for one another, didn’t need anyone else. “I could understand Eileen passing away, but I couldn’t understand why I’d been left. We should both have gone, I thought. A year after Eileen’s death, on one of those walks, John found himself outside Belfast’s Ulster Hall where Cruse was holding a promotion day for Beyond Words. “One of the organisers there asked me to their friendship group – I only agreed to go to get away from him. When the date came, though, he’d sent a taxi for me!” says John who admits to being terrified when he walked into that first meeting. For all that though John was still sceptical that the group could help – until, that is, he was persuaded to go on a Beyond Words residential. Through Beyond Words John began creative writing classes and even penned a play about bereavement, performed in Belfast’s Crescent Arts Centre. The couple’s stars aligned when Lorraine started attending the friendship group as well. “Our paths crossed a few times at events but it was the day of the big storm when we realised this was something special,” beams John. 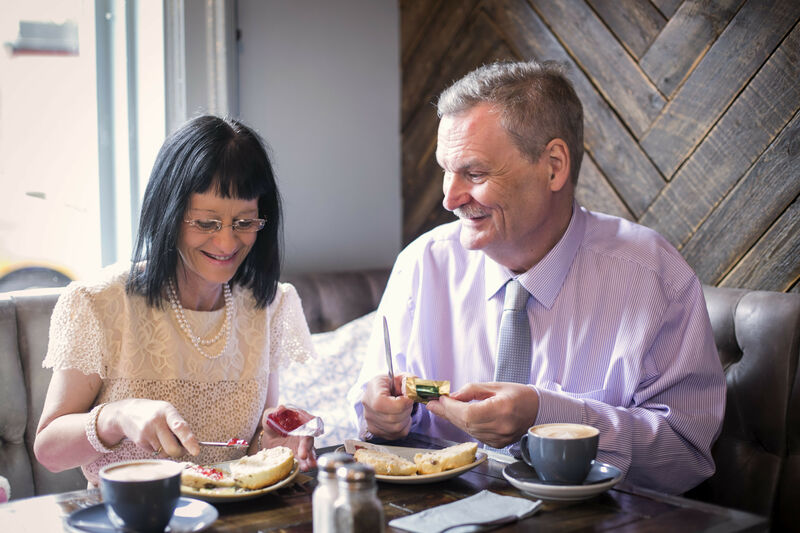 “Lorraine had called into a coffee shop but it was closing early because of the gales and she ended up on the Shankill Road, which is where we ran into each other. It was a date – and many more followed. 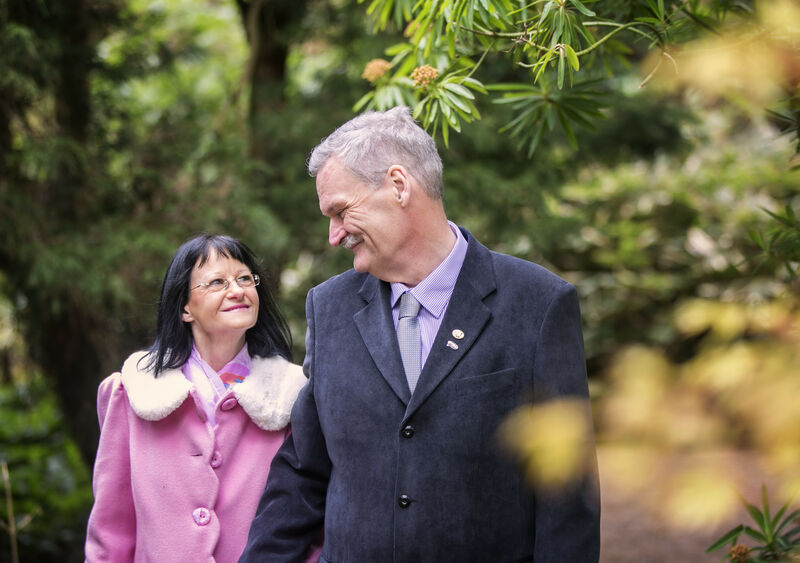 As Cupid’s arrow finally found its target, John popped the question last January – and Lorraine said yes! “We’re getting married on June 22, 2019 and we can’t wait! Everything’s booked,” says Lorraine. Eleanour Ellerslie, the project manager, says the support has made such a difference: “I have known John for four years and saw how the Friendship Group helped him and brought out his creative side. It’s wonderful to see such a happy ending for him,” she says. 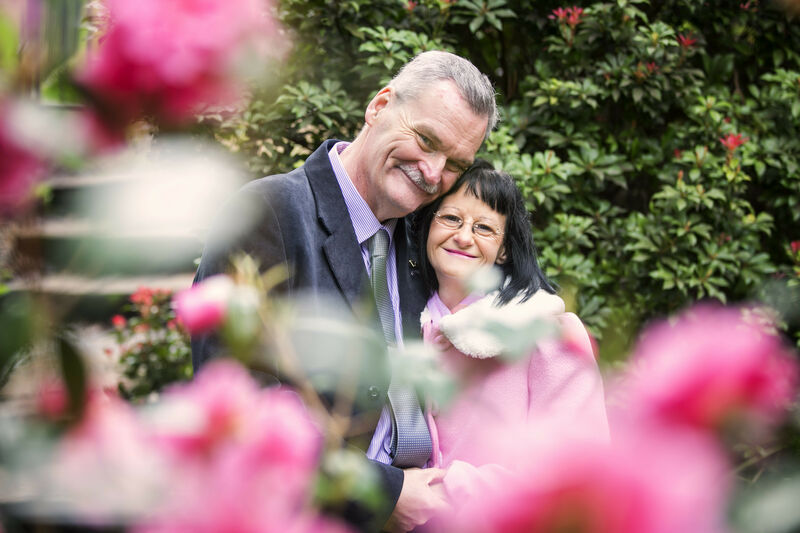 Thanks to National Lottery players, Cruse are able to continue supporting people like John and Lorraine through the hardest parts of their life – and through the happiest! Thank you so much for sharing our story, it has brought a smile to us and a little tear too but we both hope that in reading our story it may bring some hope and comfort to others who have lost a loved one.